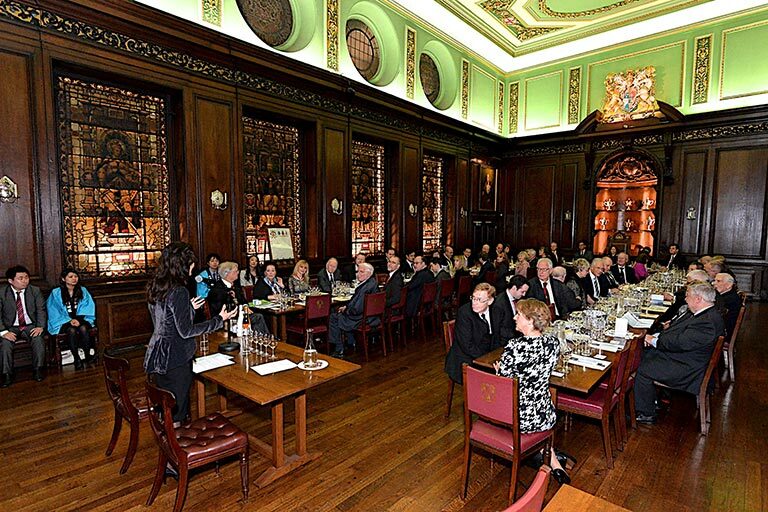 After making its grand debut at the Houses of Parliament two years ago, sake made a spectacular second appearance in the City of London, at the honourable members of the Guild of Freemen (http://www.guild-freemen-london.co.uk). 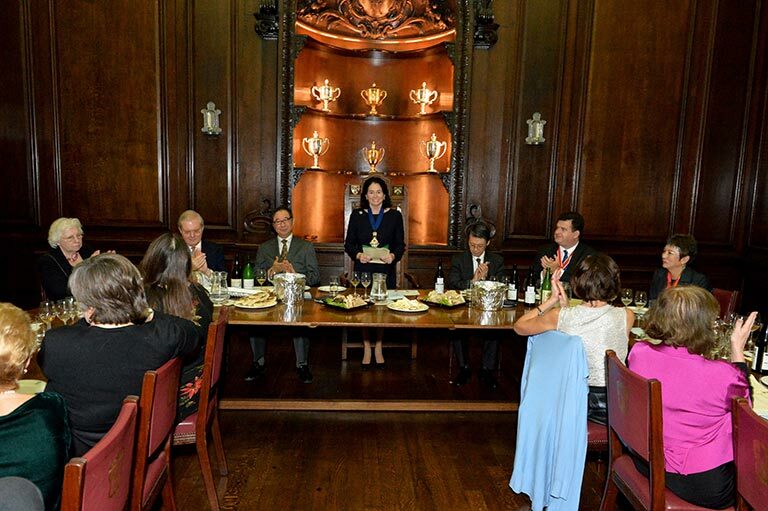 The Guild, who take pride in and uphold the City’s traditions, hold an annual event to introduce to its members exotic drinks from overseas. 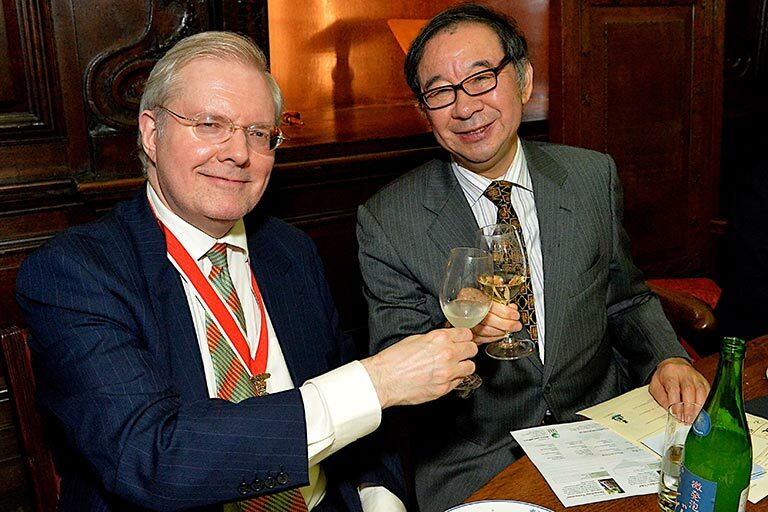 This time, the spotlight was turned upon Japan’s national drink, for the first time since the Guild’s foundation in 1908. 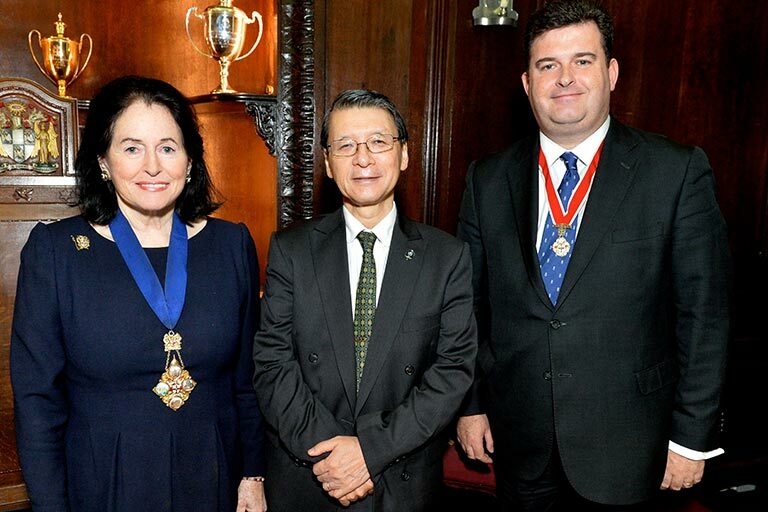 On the 18th November 2015, the Sake Tasting Evening took place at Tallow Chandlers’ Hall, co-organised by the guild committee and Rie Yoshitake, with the kind support of two renowned sake breweries, Urakasumi and Dewazakura. 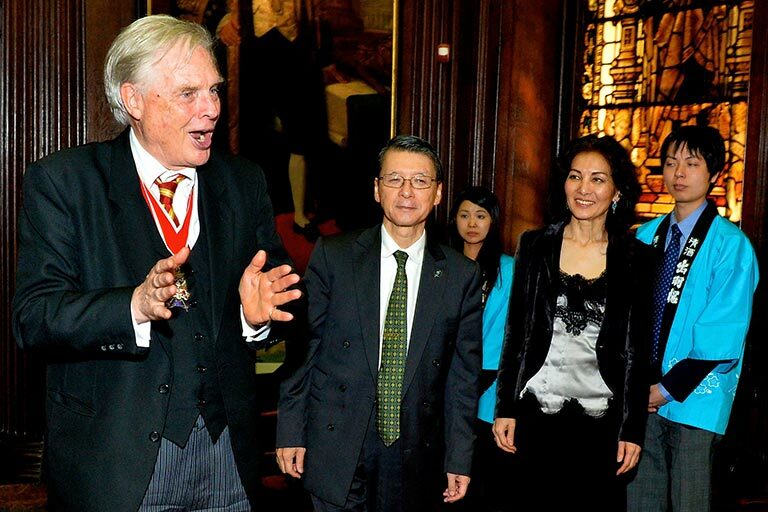 It was an exceptionally humbling and memorable evening for sake, to debut in an arena imbued with such history, presided over by the Master of the Guild Lady Poppy Cooksey OBE, the Ambassador of Japan Mr Keiichi Hayashi, the Ambassador Mr Hiroshi Oe from Japan, and other influential individuals. 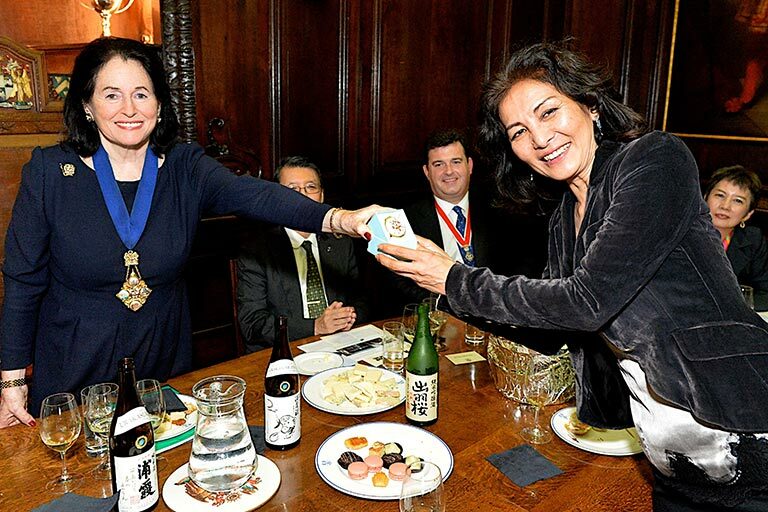 Following a general introduction to sake led by Rie Yoshitake, Akari and Shotaro Nakano showcased three types of sake from their family brewery, including a modern sparkling and cloudy sake, Tobiroku. 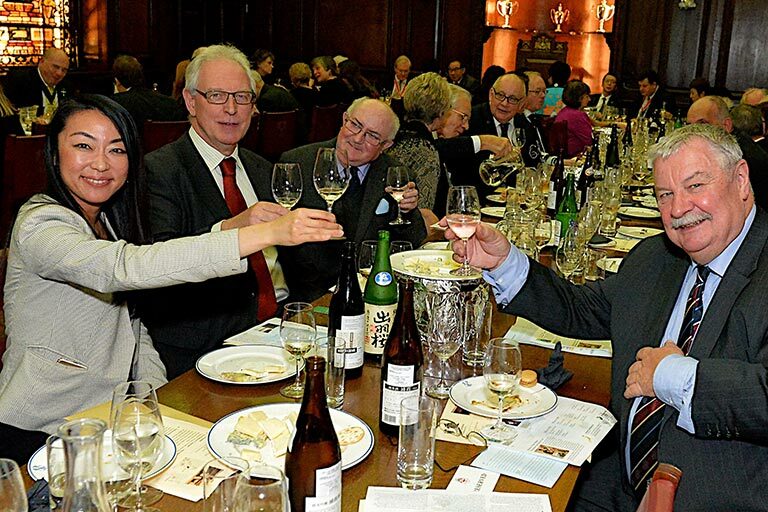 The brewery is highly praised as the pioneer of Ginjo sake in Japan. 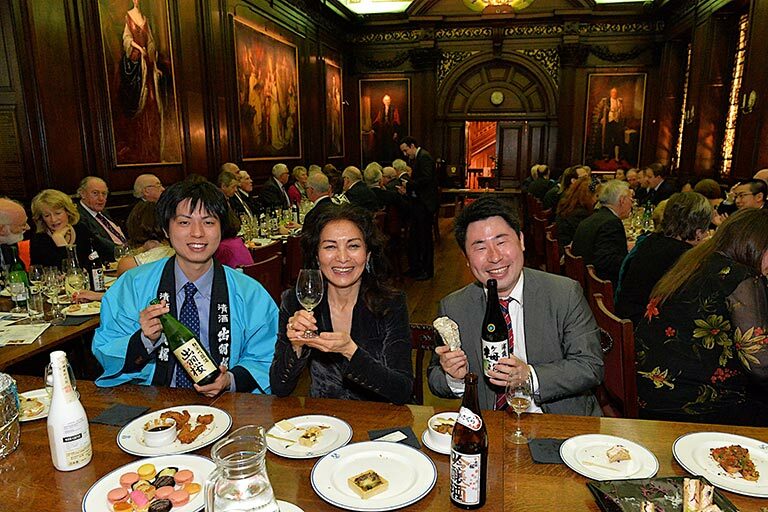 The Urakasumi brand was represented by UK importer Masafumi Ando of Tazaki Foods, who served a selection of classic junmai and fruity plum sake, which captured peoples’ hearts and tongues that night. 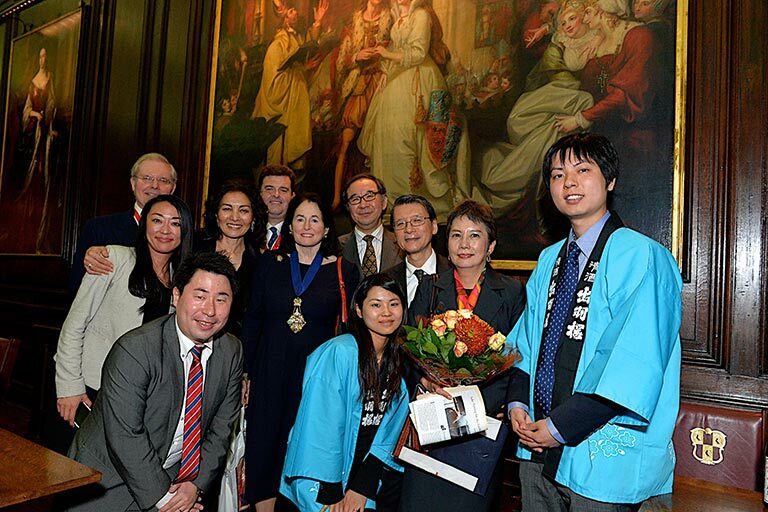 We sincerely thank Lady Cooksey OBE for her interest in sake and also Ambassador Mr and Mrs Keiichi Hayashi for their unwavering support for the promotion of sake and Japanese food culture, and to Brigadier Michael Kuen for his hard-work in making this event possible.